In addition to Terry’s solo performances, he also performs for private and public events and in concert performances with some of Northeast Ohio’s finest talent. Jonah Koslen has been active in the music business as a composer, a producer and a performer, since 1973. As an original member of the Michael Stanley Band, Jonah wrote, played lead guitar and sang some of MSB’s most loved songs, including “Strike Up The Band” and “Nothing's Gonna Change My Mind”. 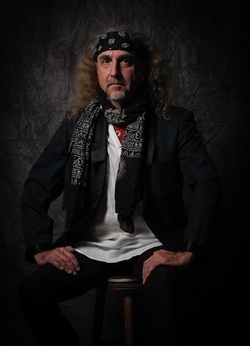 Jonah contributed lead guitar, lead vocals and arrangements to three albums and numerous compilations. In 1978, Jonah formed the now classic mid-west rock band, Breathless. The two albums recorded with this highly acclaimed band featured such hit songs as “Takin’ It Back”, “Glued to the Radio”, and “Walk Right In” among many others. “Takin’ It Back” charted in 1979. 2015 Ohio Music Awards Best CD Producer and Best CD Engineer (LOVE, by Terry Fairfax) Donny Thompson has been a much-loved talent in the music business for over 30 years, playing the Northeast Ohio circuit, touring nationally and internationally, and working as a studio/session drummer and vocalist. 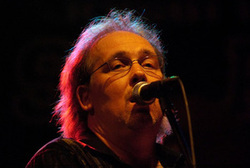 His many band credits include Akron's Easy Street Band as a bassist / vocalist during the early '80's (and in later years, with the reunion version of the band, on drums and vocals), Cleveland Top 40 band Goodfoot between '89 - '95 (on drums and vocals) and Akron's well known contemporary dance band LaFlavour (drummer/vocalist 1995-1996), and many others. Donny also appears as a solo artist (guitar and keys) performing throughout the northeast Ohio area. This debut solo album, a powerful synergy of rock, pop and R&B for the soul, is now available. Produced and engineered by Donny Thompson, featuring performances by Jonah Koslen, Mark Avsec, Cy Sulak, Paul Wolf Christensen, Roger Hatfield, Giovanni Mastro, Donny Thompson, Tom Work, Westside Steve Simmons, Bill March, Billy Sullivan, Rich Spina, Van Eidom, Alan Geene,, Scott Alan, Tommy Rich, Rodney Psyka, Rik Williger, Sasha, and more.